This series of articles will celebrate (or laugh at) some of the worst professional sports teams of all time. I will focus on teams within my lifetime so expect the worst from the 1970s to present day. How bad were the Cleveland Cavaliers in the 1981-82 season? Well, for starters they went through 4 head coaches in that season. The Pittsburgh Steelers have had 4 head coaches in 43 years. The Cavaliers were firing coaches like CEOs are firing employees at multinational companies. The Cadavers, as fans called them, started the season with Don Delaney manning the sidelines. He only lasted 15 games before Bob Kloppenburg took over on an interim basis. 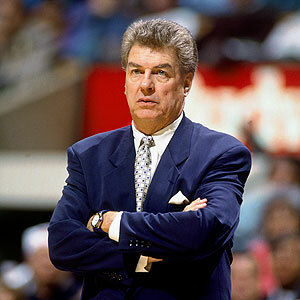 After 3 games, Kloppenburg was replaced by future hall-of-fame coach Chuck Daly. Yes, the same Chuck Daly who led the Detroit Pistons to back-to-back titles in 1989 and 1990, was part of this mess that was the Cadavers in 1981-82. Daly went 9-32 in his tenure with Cleveland, before he was fired, and replaced by Bill Musselman. The Cadavers should have stuck with Daly, as Musselman went a putrid 2-21, mercifully ending the Cadavers season. In total, Cleveland went 15-67 for the season. That adds up to a .223 winning percentage. The leading scorer for the Cadavers, small forward Mike Mitchell only played in 27 games before being dealt to the San Antonio Spurs. The Auburn product averaged 19.6 points per game before finding his escape route to the Alamo City. The Cadavers received small forward Ron Brewer in return, and he put up 19.4 points per game. Brewer only lasted in Cleveland until midway through the 82-83 campaign, before being dealt the Golden State Warriors. The Cadavers did have 2 players who went on to bigger and better things in their future. Daly’s time in Cleveland wasn’t a total waste as after he took the Detroit job, he brought over power forward James Edwards and centre Bill Laimbeer from Cleveland. 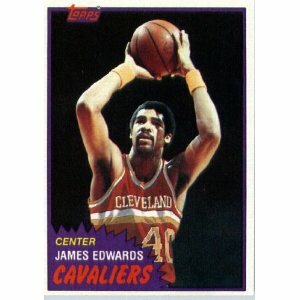 Edwards was OK for the Cadavers, averaging 16.7 points per game. 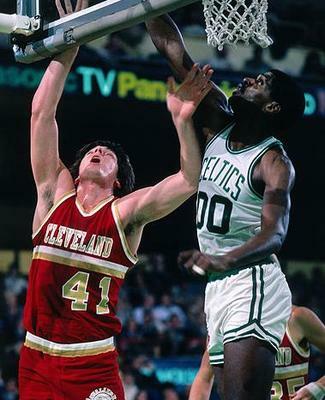 Laimbeer was only in his second season in Cleveland, as he didn’t receive much playing time in this awful season. The Notre Dame product only put up 6.1 points, while languishing on the bench. Both players would win championships in Detroit, thus leaving this horrid season behind them. Laimbeer was traded to Detroit in February for a first round draft choice, who turned out to be point guard John Bagley. Bagley was nothing more than a journeyman player throughout his career. Just another bad move by this awful team. The Cadavers lost their last 19 games of the season, setting a franchise record for longest losing streak, a record not to be proud of. The Cadavers also had losing streaks of 8 and 9 games during the season to go with a pair of 7 losing streaks in the season. Their worst loss of the season came on February 24, 1982 as they were blitzed 131-97 by the Phoenix Suns. 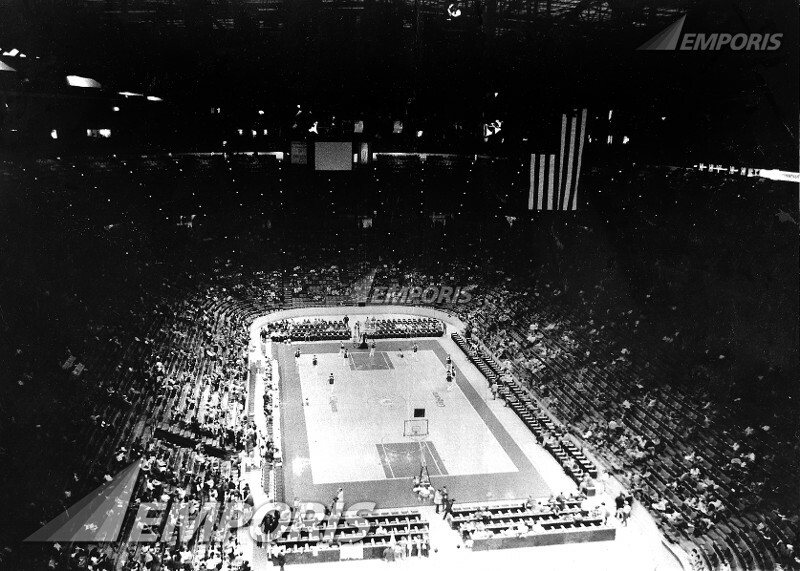 How the cavernous Richfield Coliseum looked on many nights during the 1981-82 season. Their record away from the cavernous Richfield Coliseum was 6-35. Inside the dreadful suburban arena, the Cadavers weren’t much better, going 9-32 at home. Good thing hardly anyone in the Cleveland area watched them. The Cadavers only had an average of 5,768 people attend the games. The Richfield Coliseum seated 20,000 fans, so on many night, the Coliseum resembled a morgue more than a basketball arena. The Cadavers let their opponents score at will on them, giving up 111.7 points per game, while scoring only 103.2 points per game themselves. The Cadavers made a pathetic 18.2% of their attempts from the 3 point arc. I believe Shaquille O’Neal could have shot better from downtown than this bunch. The Cadavers turnover ratio was a brutal -85. I could go on but I’ll show this sorry group some mercy. It took a few years, but the Cavaliers did improve after this horrid season. However their playoff appearances ended in heartbreak, thanks mainly to Michael Jordan and the Chicago Bulls of the early 90s. The Cavs slipped into mediocrity again in the late 1990s and early 2000s, until LeBron James arrived on the scene in 2003. Then in a decision that angered the city, King James decided to take his talents to Miami in 2010, leaving the Cavaliers once again, as one of the weak sisters of the NBA. Still nothing compares to how bad this franchise was compared to that forgettable 81-82 season. This entry was posted in Sports and tagged 1981-82, Basketball, Bill Laimbeer, Chuck Daly, Cleveland Cavaliers, James Edwards, NBA, Richfield Coliseum. Bookmark the permalink. You doing these in any particular order? I am assuming there will be a Winnipeg Jets entry. I had season tickets for their 1980 – 1981 season. At least we got Hawerchuk out of it. Keeping it somewhat random but I am doing a rotation when it comes to the actual sport. It is looking like the order will be hockey, basketball, baseball, football and soccer. Yes the 80-81 Jets will make an appearance in this series. I remember that team very well. Can’t wait for the other loser teams in the series. The Cavaliers were pretty bad in the early 80s. At least Daly and Doc Edwards were able to get the last laugh.